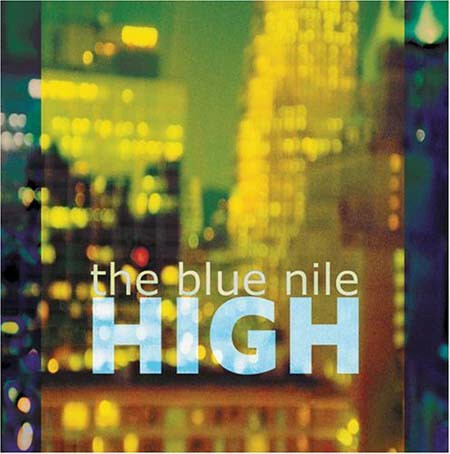 Enigmatic, reluctant and contrarian are words that best of describe The Blue Nile. They’re the complete opposite of most bands. The Blue Nile have been described as publicity shy. That’ is an understatement. Ever since Paul Buchanan, Robert Bell and Paul Joseph Moore formed the Blue Nile, they’ve been one of the most low-profile bands in musical history. It seems that when they were formed thirty-five years ago, The Blue Nile ticked the “no publicity” box. This has proved a double-edged sword, and resulted in The Blue Nile becoming one of the most enigmatic groups ever. Their story began thirty-five years ago. The Blue Nile were formed in 1981, when two friends Paul Buchanan and Robert Bell, met Paul Joseph Moore, all of whom met at Glasgow University. Before forming the Blue Nile, Buchanan and Bell were previously members of a band called Night By Night. Try as they may, a recording contract eluded them. Night By Night’s music wasn’t deemed commercial enough. So Paul, Robert and P.J. decided to form a new band, The Blue Nile. Once The Blue Nile were formed, they set up their own record label Peppermint Records. It was on Peppermint Records that The Blue Nile released their debut single, I Love This Life. This single was then picked up and rereleased on the RSO label. Unfortunately for the Blue Nile, RSO became part of the Polygram label and I Love This Life disappeared without trace. Despite this setback, Blue Nile persisted. Still, The Blue Nile kept writing and recording material after the merger of RSO with Polygram. Some of that material would later be found on A Walk Across the Rooftops. That was in the future. Recording of The Blue Nile’s demos took place at Castlesound studio near Edinburgh. That’s home to the man whose often referred to as the fourth member of The Blue Nile, recording engineer Calum Malcolm. He was listening to recently recorded demos through the studio’s Linn Electronics system. It had recently had a new set of speakers fitted. So the company founder, Ivor Tiefenbrun, decided to visit Calum Malcolm to hear his thoughts on the speakers. That’s when Ivor Tiefenbrun first heard The Blue Nile. Calum Malcolm played Ivor Tiefenbrun a demo of Tinseltown In The Rain. Straight away, the founder of Linn was hooked. He decided to offer The Blue Nile a record contract to the label he was in the process of founding. Most bands would’ve jumped at the opportunity. Not The Blue Nile. It took The Blue Nile nine months before they replied to Ivor Tiefenbrun’s offer. When they did, the answer was yes. The Blue Nile’s debut album A Walk Across The Rooftops would be released on Ivor Tiefenbrun’s new label Linn Reords. A Walk Across the Rooftops. Linn Records and The Blue Nile seemed a marriage made in musical heaven. Linn Records weren’t like a major label, pressurising The Blue Nile into making a decision and delivering an album within a certain timeframe. Instead, Linn Records allowed The Blue Nile to do what they did best, make music. From the outside, this looked as if it was working, and working well. Years later, Paul Buchanan commented that during Linn Records didn’t operate like a record label. Mind you, he conceded that, during this period, The Blue Nile didn’t operate as a band. However, eventually, in May 1984 The Blue Nile’s debut album was released on Linn Records. On the release of A Walk Across the Rooftops, it was released to critical acclaim. Critics described the album as a minor classic. A Walk Across the Rooftops was described as atmospheric, ethereal, evocative, soulful and soul-baring. It also featured the vocals of troubled troubadour Paul Buchanan. Despite the critical acclaim A Walk Across the Rooftops enjoyed, it wasn’t a huge commercial success, reaching just number eighty in the UK. However, since the A Walk Across the Rooftops has been recognised as a classic album. So has the followup Hats. Unlike most bands, The Blue Nile weren’t in any rush to release their sophomore album Hats. There was a five year gap between A Walk Across the Rooftops and Hats. It was worth the wait. The Blue Nile had done it again. Hats was a classic. Featuring seven tracks, written by Paul Buchanan, Glasgow’s answer to Frank Sinatra He’s a tortured troubadour, whose voice sounds as if he’s lived a thousand lives. Producing Hats was a group effort, with Paul, Robert and P.J. taking charge of production duties. Guiding them, was Callum Malcolm. On the release of Hats, British and American audiences proved more discerning and appreciative of the Blue Nile’s sophomore album Hats. On the release of Hats in the UK in 1989, it was critically acclaimed and commercial success, reaching number twelve in the UK. Then when it was released in America in 1990, audiences seemed to “get” Hats. Not only did it reach number 108 in the US Billboard 200 Charts, but The Downtown Lights reached number ten in the US Modern Rock Tracks charts. It seemed that The Blue Nile were more popular in America, than in Britain. Gradually, The Blue Nile’s music was beginning to find a wider and more appreciative album. Especially when The Blue Nile decided to embark upon their debut tour later in 1989. Although The Blue Nile were formed in 1981, and Hats was The Blue Nile’s sophomore album, the band had never toured. Partly, The Blue Nile seemed worried about replicating the sound of their first two albums. They needn’t have worried, with The Blue Nile seamlessly replicating the sonic perfection of A Walk Across The Rooftops and Hats on the sold out tour. The Blue Nile’s star was in the ascendancy. Their first ever tour had been a huge success. The Blue Nile had conquered Britain. However, The Blue Nile had also made a breakthrough in America. Hats had sold well, and their American tour had been successful. Most bands would’ve been keen to build on this and released another album before long. Not The Blue Nile. Seven long years passed, where Blue Nile fans wondered what had become of Glasgow’s most enigmatic trio. However, they’d been busy. 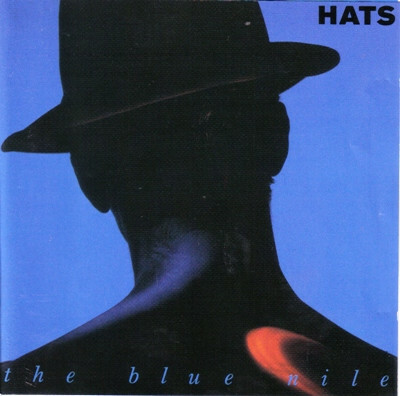 After Hats found its way onto American radio stations, The Blue Nile, who previously, had been one of music’s best kept secrets, were heard by a number of prestigious musicians. Among them were Robbie Robertson and Annie Lennox, Michael McDonald. After a decade struggling to get their music heard, The Blue Nile were big news. During this period, America would become like a second home to The Blue Nile, especially Paul. Paul took to life in America, and in 1991, decided to make it his home. This just so happened to coincide with Paul’s relationship with actress Rosanna Arquette between 1991 and 1993. Hollywood starlets and Sunset Boulevard was a long way from Glasgow’s West End. In the midst of Paul’s relationship, disaster struck for The Blue Nile, they were dropped by their label. Linn Records and Virgin decided to drop The Blue Nile. For some groups this would’ve been a disaster. Not for The Blue Nile. They signed a million Dollar deal with Warner Bros. While this sounded like the ideal solution for The Blue Nile, Paul made the deal without telling P.J and Robert. He later explained that “none of the others were in town at the time.” With a new contract signed, The Blue Nile began thinking about their third album, Peace At Last. So the band started looking for the perfect location to record their third album. They travelled across Europe looking for the right location. This location had to be private and suit their portable recording studio. Cities were suggested, considered and rejected. Among them, were Amsterdam, Copenhagen and Venice. Being The Blue Nile, things were never simple. Eventually, after much contemplation The Blue Nile ended up recording what became Peace At Last in three locations, Paris, Dublin and Los Angeles. For the first time, The Blue Nile recorded an album outside of their native Scotland. For their first album for a major label, things began to change for The Blue Nile. They brought onboard drummer Nigel Thomas, a string section and a gospel choir. Peace At Last was going to be a quite different album to A Walk Across The Rooftops and Hats. However, one things stayed the same, The Blue Nile continued to work with Calum Malcolm. With his help, Peace At Last was ready for release in June 1996. Before that, critics had their say. Critics remarked upon the change of sound on Peace At Last. It had a much more understated, restrained sound. Acoustic guitars and piano play important parts. Still, The Blue Nile’s beloved synths remain. Occasionally, The Blue Nile add strings. There’s even a gospel choir on Happiness. Gone was the sound of A Walk Across the Rooftops and Hats. Peace At Last showed a different side to The Blue Nile and their music, one that divided the opinion of critics and fans. Paul, Robert and P.J. were back, but it was a different sound. One constant was Paul’s worldweary vocal. Glasgow’s very own Frank Sinatra, Paul Buchanan plays the role of the troubled troubadour, to a tee on songs about love, love lost, betrayal, heartbreak, growing up and growling old. Paul was still the tortured soul, who wore his heart on his sleeve on Peace At Last. On the release of Peace At Last, in June 1996, it reached just number thirteen and sold poorly. For The Blue Nile this was disappointing, given it was their major label debut. Worse was to come when the lead single Happiness failed to chart. The Blue Nile’s major label debut hadn’t gone to plan. 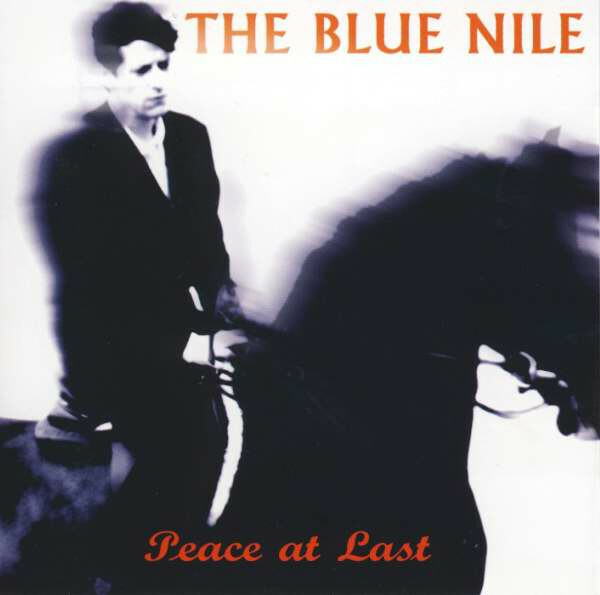 Alas, Peace At Last was the only album The Blue Nile released on a major label. Following Peace At Last, it was eight years before The Blue Nile released another album. High was released in 2004. During the last eight years, the three members of The Blue Nile had been leading separate lives. While P.J. and Robert were content with their lives in the West End of Glasgow, while Paul had been spending his time between Glasgow and Hollywood. Now they were back and ready to record their fourth album, High. Once High was recorded, all that was left was for The Blue Nile to find a label to release the album. The Blue Nile had been dropped by Warner Bros. So with the completed album, The Blue Nile shopped High to various labels. Eventually, they settled on Sanctuary, which would release High in August 2004. However, before that, critics welcomed back The Blue Nille. Eight years after the release of Peace At Last, critics remarked that High was a much more grownup album. Songs of family life and heartbreak sat side-by-side. Paul who had been suffering with illness and fatigue, seemed to have found a new lease of life. His lyrics are emotional, observational, cinematic and rich in imagery. They’re also poignant, and full hope, hurt and anguish. Meanwhile, Paul’s vocals were worldweary and knowing, while the music is emotive, ethereal and evocative. Critics love High. So did music lovers. When High in August 2004, the album reached number ten in the UK. High proved to be The Blue Nile most successful album. This proved to be fitting. High was The Blue Nile’s swan-song. Nobody realised this when the album was released. It was only as years passed without a followup to High, that the reality sunk. There would be no more music from The Blue Nile. One of the greatest bands of their generation were now part of musical history. Following High, critics thought that The Blue Nile would return, possibly after another lengthy break. Sadly, that wasn’t to be. The Blue Nile were no more. At least they did things their way. Right up until the release of High, The Blue Nile were enigmatic, almost reclusive and publicity shy. Mind you, The Blue Nile weren’t exactly your normal band. The rock ’n’ roll lifestyle favoured by other bands wasn’t for The Blue Nile. Their music was much more cerebral, and had a substance that much of the music recorded between 1984 and 2004 lacked. During that twenty year period, The Blue Nile only recorded four albums. These albums are unique. Musical fashions and fads didn’t affect The Blue Nile. Their attitude was almost contrarian. Albums were recorded slowly and methodically as the Blue Nile strived for musical perfection. Many have tried to achieve perfection. However, very few have come as close as The Blue Nile. Their debut album A Walk Across The Rooftops and the followup Hats, are nowadays both regarded as classic albums. Peace At Last and High show another side to The Blue Nile. There’s a much more grownup sound, to the albums. 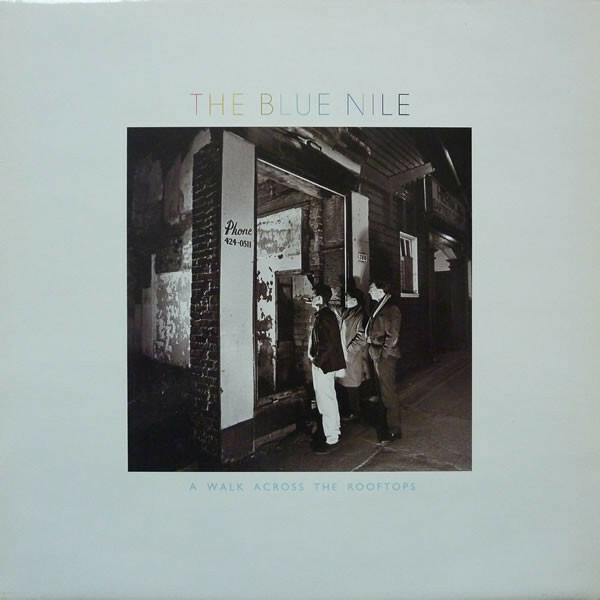 However, just like A Walk Across The Rooftops and Hats, both albums showcase one of the most talented bands in Scottish musical history, The Blue Nile. While The Blue Nile never enjoyed the commercial success their music deserved, they stayed true to themselves. They never jumped onto a musical bandwagon in pursuit of fame, fortune or starlets. Quite the opposite. For The Blue Nile it was their way or no way. If an album took years to record, so be it. It was always worth the wait. After all, not many bands pursue perfection, and achieve that perfection four times. The Blue Nile did, and ended their career on a High. ← FREDDIE NORTH-WHAT ARE YOU DOING TO ME: THE COMPLETE A-BET RECORDINGS…PLUS.